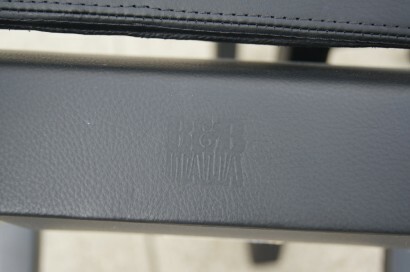 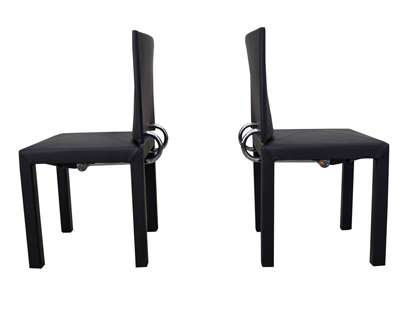 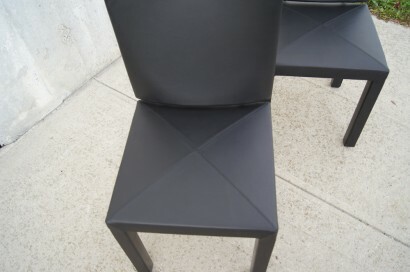 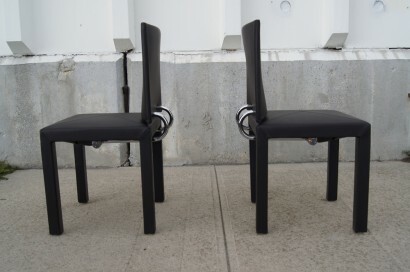 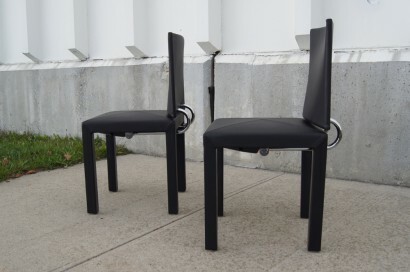 These dining chairs were designed by Paolo Piva and manufactured by B&B Italia. 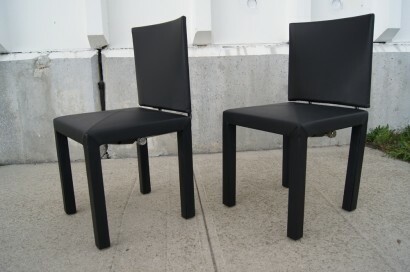 They are upholstered entirely in black leather. 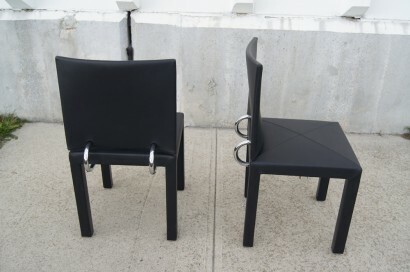 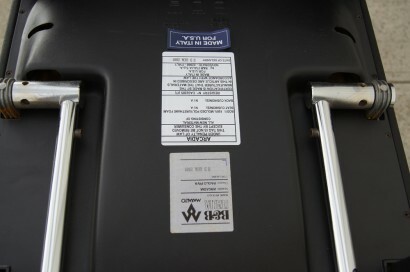 The seat backs are joined to the base with chrome tubing, which allows for some give and provides a very comfortable seat.